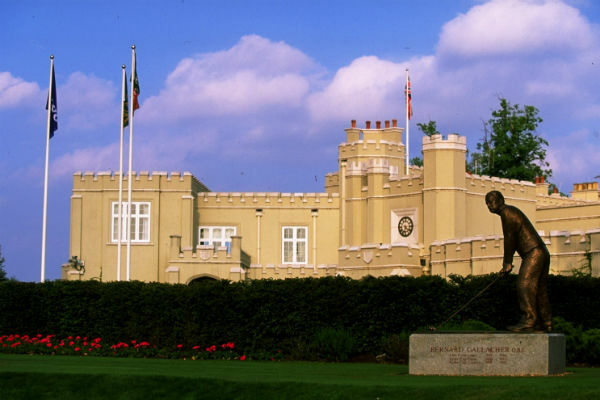 Last week, it was announced that Wentworth Golf Club was to start charging £125,000 joining fee for new members and have raised the cost of annual fees from £8,000 to £16,000 – which has, unsurprisingly, caused outrage. The West Course at Wentworth, host course of the European Tour’s flagship event, the BMW PGA Championship, as well as various World Matchplay Championships in years gone, is one of the best courses in the country, and despite the presence of two other championship golf courses, and one of the most opulent clubhouses in golf, it is difficult to justify paying such a hefty fee. 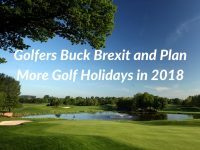 Fortunately, there is more than one way to skin a cat and in order to scratch your golfing itch throughout the year, why not just ditch the annual membership subs and embark on a years worth of golf trips? We’ve set out a little itinerary with one trip per month and despite some of the trips being to bona fide bucketlist destinations, the cost still adds up to less than that of being a member at Wenty! What would you rather do? Purchase membership at one of England’s finest golf clubs…or do ALL of the below trips in one calendar year?! 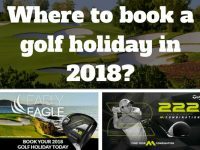 With three championship courses to choose from at Celtic Manor and an array of stay & play packages to suit any taste and budget, deciding on your exact itinerary isn’t the easiest task in the world. But with a decent chunk of the £16,000 Wentworth membership fee to play with, why not just do it all? Rounds on the Roman Road, Montgomerie AND the Twenty Ten Ryder Cup Course are available when you stay in the luxurious Hunter Lodges. While Wentworth is one of England’s finest inland courses, heading East towards the Kent Coastline will see you arrive at a very special patch of links land where you’ll find not one, but three of the finest seaside courses in the country. With a stay at the Bell Hotel, you can spend two nights in and around the charming seaside towns of Deal and Sandwich, as well as three days playing golf on some of the top links courses in the UK. 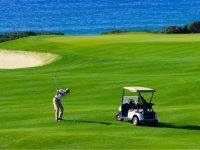 The Algarve is home to countless amazing golf courses but when you ask around, there’s one that always comes up in conversation when talking about the best in the business. Monte Rei might be a bit more pricey than your average Algarve Golf Holiday, but with a month’s worth of £16,000 to play with, why the hell not?! While we’re upgrading, we might as well upgrade from economy to business class too…it’s an extra few hundred pounds but it’s still a drop in the ocean compared to Wentworth prices. Let’s face it. 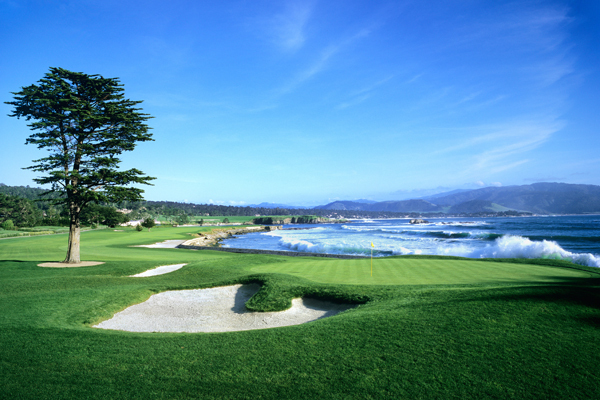 A round at Pebble Beach should be on every golfer’s bucketlist so it simply had to make the list. Pebble is one of the world’s most spectacular courses and while you stroll the fairways, you’ll be walking in the footsteps of legends of the game including Jack Nicklaus and Tiger Woods who of course won the 2000 US Open here by a staggering 15 shots. The US Open is back at this famous venue in 2019 too so be sure to play your round before they start growing that rough up! 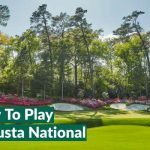 While we’re in the US of A, and passing by on the way back to the UK, we thought dropping in on The Masters at Augusta National might be in order. While Wentwirth is one of the most exclusive clubs in England, it’s still got a thing or two to learn from Augusta National when it comes to privacy and exclusivity. 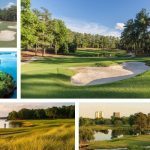 While you’ll most likely never enjoy a round on the world’s most famous golf course, taking a trip to Augusta in April will see you watching the world’s greatest golfers to battle for the Green Jacket. 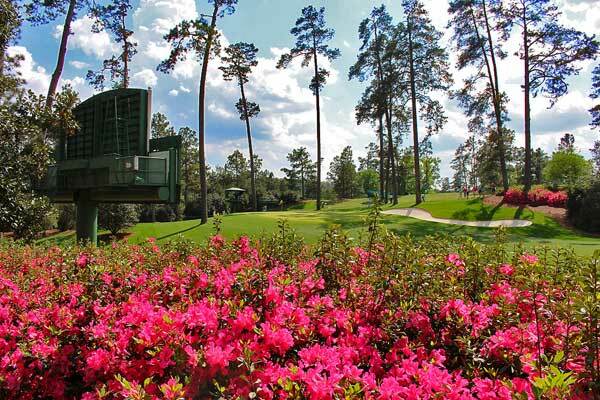 It doesn’t come much better than this, being there in person, Masters Chair in tow, to see your golfing heroes tackling the likes of Firethorn, Golden Bell, Pink Dogwood and of course, Amen Corner. 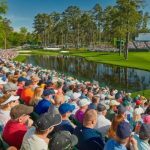 After returning home from two trips of a lifetime all rolled into one in the form of Pebble Beach and The Masters, there’s really only one place to head on the next stage of your 12 month golf holiday plan: The Home of Golf. 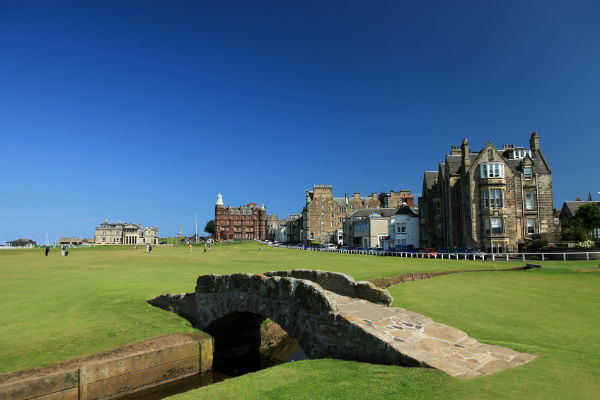 Follow in the footsteps of golf’s great names while crossing Swilcan Bridge and taking on the famous Road Hole. One night and two rounds will cost £235 but for an extra £120 you can upgrade to two nights and three rounds. After a stint in Scotland, it only seems wise to warm up again in Malaga by visiting the stunning Valderrama resort. Valderrama is one of the finest courses in mainland Europe and while you’re unlikely to play to your handicap 1st time out – it’s devilishly difficult we’re told – playing one of the best courses in the world with the sun on your back can never be a bad thing! Three nights bed and breakfast and two rounds of golf will edge you closer to that £16,000 figure. Why make the trip home yet? 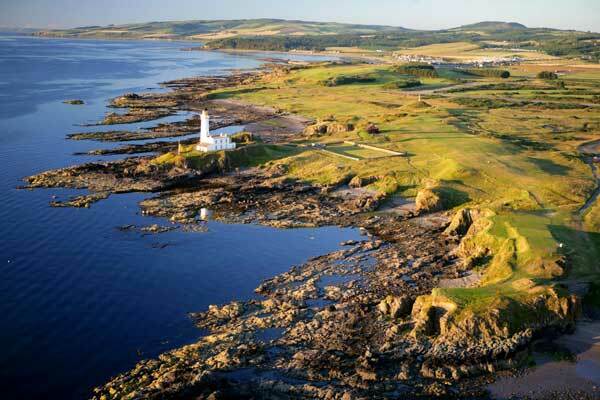 With cash still left in the pot, make the 40 minute trip to play on another of UK’s great courses – Trump Turnberry. 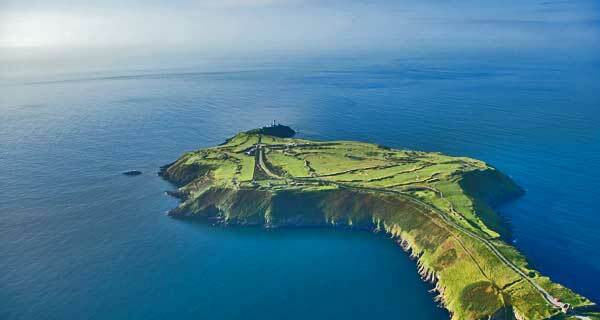 Be one of the first to play the Ailsa Course once its dramatic changes have been completed. Will one of the world’s most spectacular course become even better? £475 will get you one night and two rounds on the stunning Ailsa and Kintyre Courses. Take someone with you and see if you can recreate Jack Nicklaus and Tom Watson’s legendary duel in the sun in 1977. The Wild Atlantic Way is, believe it or not, the longest coastal driving route in the world. Stretching from Ballyliffin the the north all the way to the Old Head of Kinsale in the south, this ruggedly beautiful stretch of road passes by some of Ireland’s finest courses, many of which are among the best in the world. 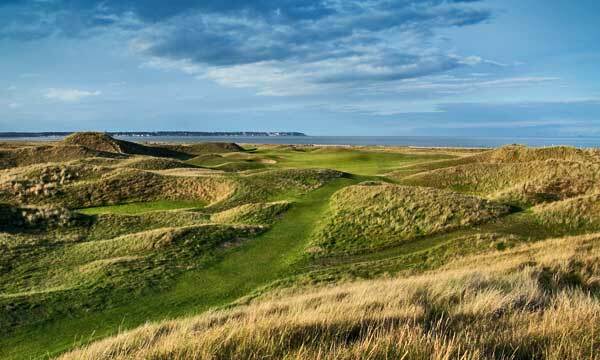 Fancy ticking some world class links golf off the list? There really is no better place for it than The Wild Atlantic Way. The 2016 Ryder Cup is 339 days away but it is never too early to book. Go and support Darren Clarke and the boys in what will be a decision that you will not regret. The stunning Hazeltine Golf Club in Minnesota plays host as Europe look to defend the Ryder Cup for the fourth consecutive time. 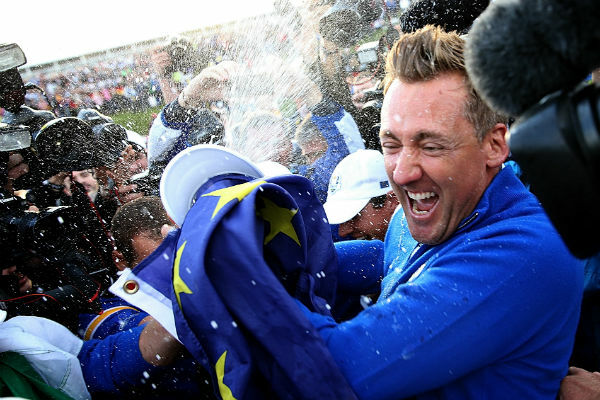 Celebrate with Team Europe at The 2016 Ryder Cup! £2549 will get you flights, five nights bed and breakfast, return transfers and tickets from Thursday to Sunday. Whilst we’re on the topic for expensive golf courses, Shadow Creek in Vegas is the world’s most expensive. It is a typical Vegas venue, brilliantly over the top with amazing holes, waterfalls and the mountains in the background. From the fairway to the Las Vegas Strip…what’s not to like?! £1439 will get you flights, five nights accommodation and three rounds of golf. And if the £16,000 Wentworth membership fee is just pocket change to you…perhaps you should check out our James Bond Golf Holiday. Without dipping into MI5’s coffers, you’ll need £700,000 for that one!